A retrospective look at the life and work of influential electronic music DJ, Adam Goldstein, known as DJ AM. DJ AM experience meteoric success through raw talent and sheer determination, overcoming what for others might have been staggering adversity, before tragically succumbing to the demons that dogged his life and career. 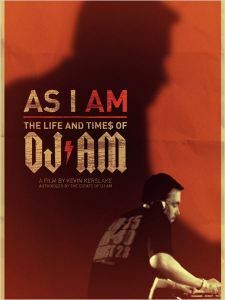 The film’s pacing and style captures the frenetic speed and dynamism of DJ AM’s life as well as introspective moments of candor and insight.